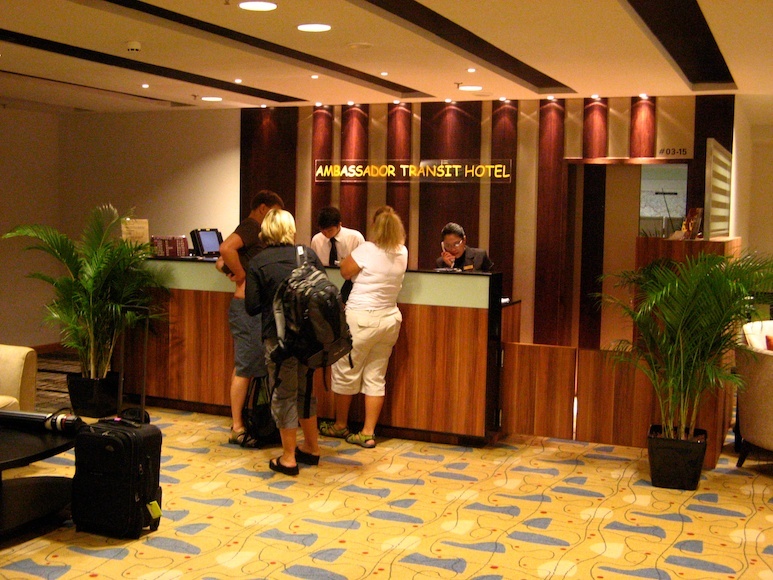 We’ve stayed at the Ambassador Transit Hotel in Singapore too many times to count. It’s absolutely perfect for what it is. A place to sleep for a few hours, shower and move on to your next flight. 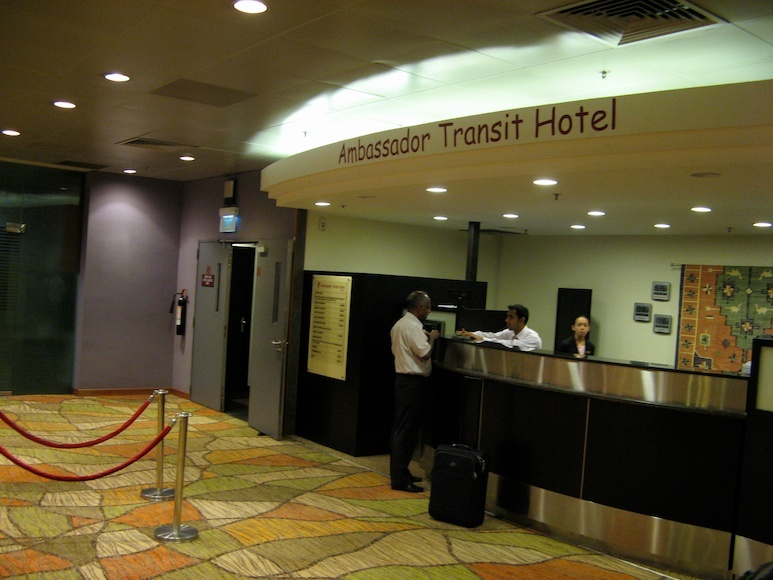 Ambassador Transit Hotels are located in each of Singapore Changi’s three terminals. All are located on the upper level (Level 3) above the terminal concourses and gates. Signs are posted in each terminal throughout the airport and the locations are easy to find. Remember this hotel is located IN the airport behind security. You do NOT clear customs and you DO NOT go to luggage pickup. Rooms here are very basic. This is not the Ritz Carlton, but it’s not a hostel either. 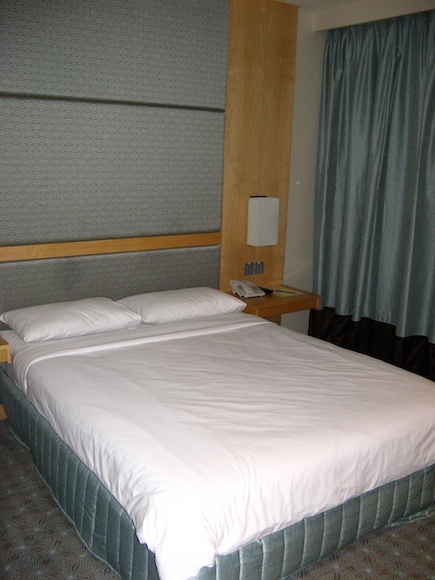 Beds are pretty comfortable and rooms are a bit on the small side. Surprisingly for being in an airport, rooms are pretty darn quiet. Quieter than most city hotels, actually. 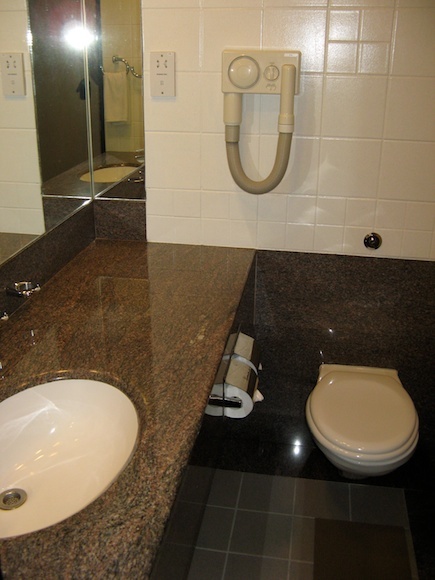 There’s a small desk in most rooms and an ensuite bath, toilet and shower (unless you choose a basic room with a shared bath). 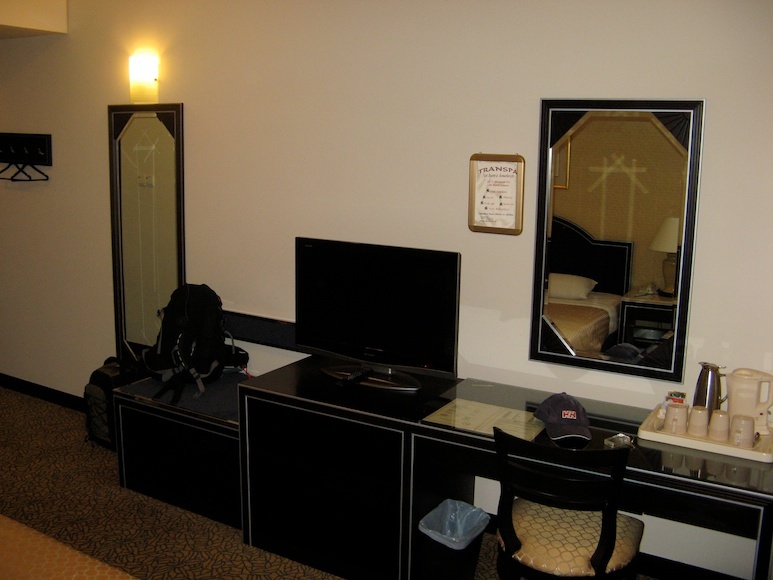 Other furnishings are basic, but rooms do have a TV and internet connection available. Terminal 3 is the newest version of the Ambassador. 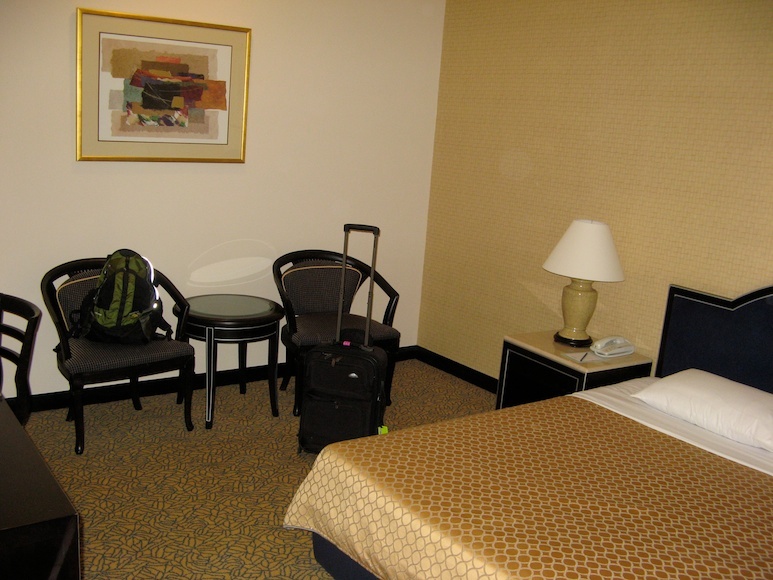 If you’re looking for something more upscale, try the Crowne Plaza outside of the airport. Service here is very friendly and efficient. 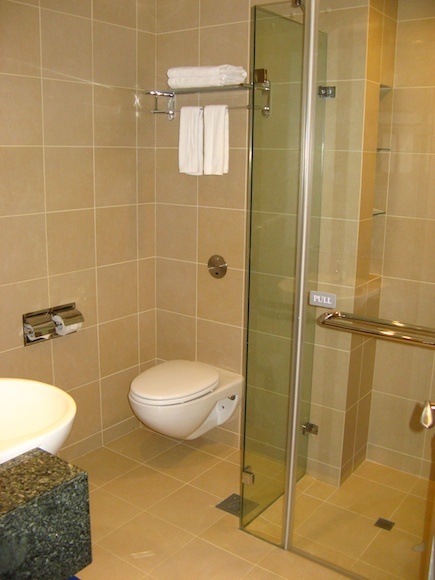 It’s bare bones, so don’t expect room service or any other facilities. This is pretty basic. But remember, you’re in Changi Airport, one of best airports in the world. There’s a swimming pool, sauna, workout room, countless shops, a theatre showing current movies, and much, much more. Pros: The perfect place to freshen up and catch a nap while in transit in Singapore. Cons: This is a VERY POPULAR solution for transiting passengers in Singapore, one of the busiest airports in Asia. Reservations are STRONGLY ADVISED at least two to three months in advance. The Ambassador sits behind security at Changi near the gates. You WILL NOT be able to get your luggage. Make sure you have what you need in your carry-on as you transit Singapore.